Her name is Chane, she lives in the US, but has her origins in South Africa. She so wanted to have a Tonner Scarlett repainted. She wrote me after painstakingly and patiently bidding on a Tonner "My Mothers Portieres" doll in ebay. 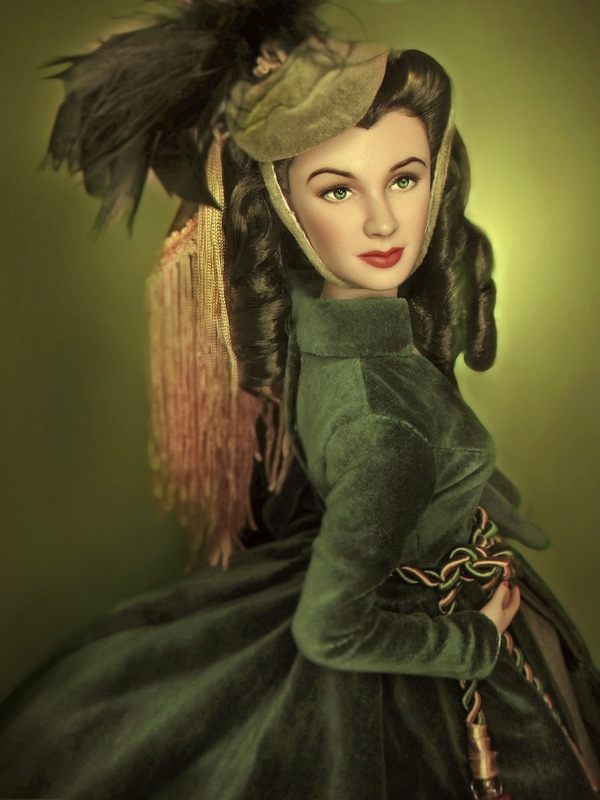 Tonner My Mother's Portieres, in my opinion, is one of the must-must-haves among the Tonner Scarlett line, it having the most memorable, iconic and famous costume done that represents the Gone with the Wind story. Good choice Chane! Now here is your Scarlett. Here too I have been patient with the eyes and eyebrows that's because I had more time over the holidays. Happy New Year everyone! 2012 is another doll year for me hahaha. Can't wait for Tonner's next Scarlett. I only passed up on the Christmas 1963 dress and doll because I already have a version of it from Franklin Mint. But who knows, I might just take a bite! 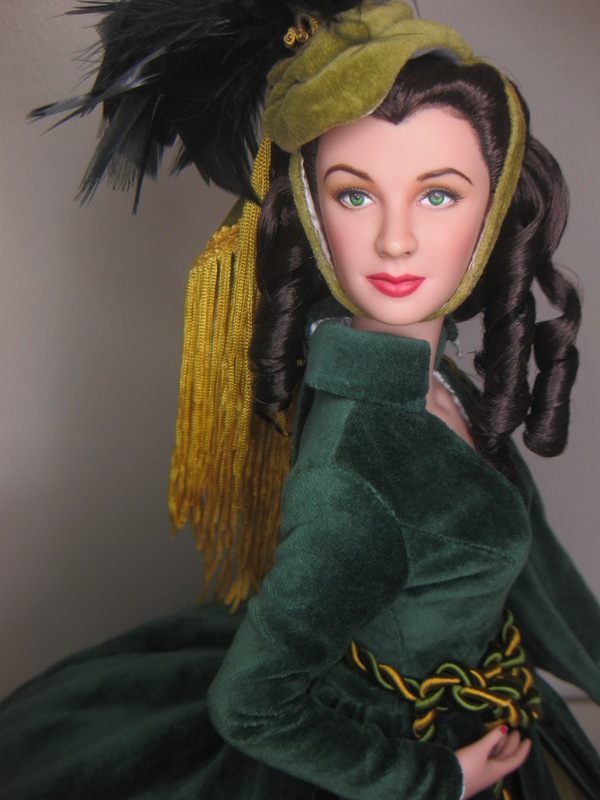 Labels: tonner Scarlett "My Mother's Portieres"
Beautiful job - what a stunner! What a wonderful job !!! You can take new commissions without fear or hesitation... Your work is perfect ! @Dave: Thank you very much Dave. I really had more time here to work on the eyebrows and eyes. 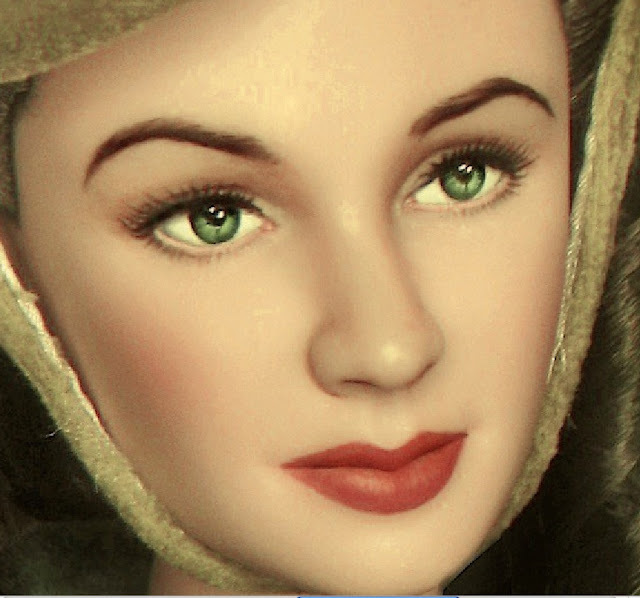 I had to count the lashes of Vivien and apply about the same number on the doll. Crazy me. Thank you very much. Thanks AuntLou! Happy new year!!! Have a wonderful, healthy and happy 2012!